Looking for some safety incentive inspiration? Consider taking a page from R.B. Hinkle Construction, Inc., an underground utility construction company located in the mid-Atlantic region. Their 60 construction crews are disbursed daily from multiple locations, therefore keeping track of all the safety gear, safety briefings and jobsite safety precautions is top of mind for the safety department. RBH Safety Director Ed DeNeale has an innovative and effective safety excellence program in place as part of an overall strategy to minimize incidents and lost time injuries. And it’s working. 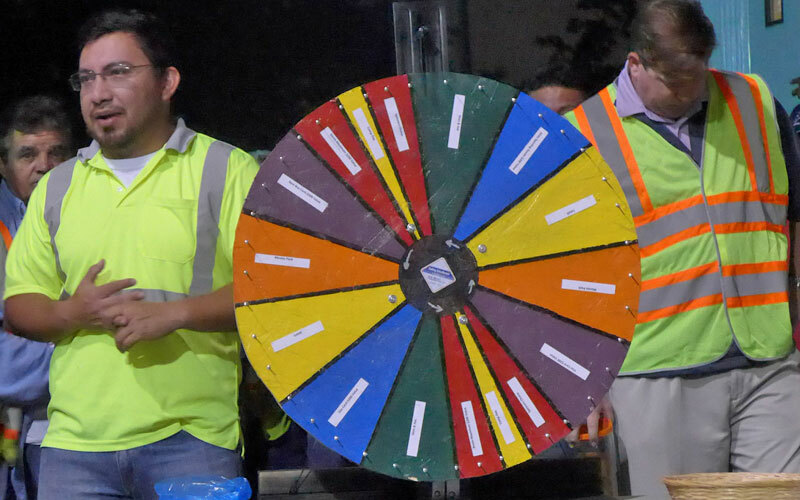 The company has a monthly wheel spin honoring employees who are ‘nominated’ by management or co-workers for any recognizable act of safety. This can range from receiving a letter from a satisfied customer to warning someone about a dangerous pothole looming in their path. Winners receive prizes such as the coveted “Safety Employee of the Month” parking spot to a gift card for a pair of new work boots. Volumes could be written on the subject of safety incentive programs for underground contractors. But simplistically, there are three common threads at the core of successful programs, and RBH already has them in place: An initial strong safety culture, involvement from upper management and a pre-existing overall comprehensive safety program. If you’re thinking about kicking off an effective and engaging safety program for your employees it can be challenging to know where to start with all the available options and advice. But there are some key elements R.B. Hinkle considers integral to their program and these can be useful building blocks when structuring your own. RBH is keenly aware that their employees want to be seen, heard and know that upper management cares about them and their workplace safety needs. In turn, having a strong safety culture with involved management communicates the best message. In a 2012 memo OSHA categorically states that it is a violation of section 11(c) to discriminate or retaliate against any employee that reports an injury. The concern therein is with any motivational safety program designed to discourage an employee from reporting an injury. OSHA wants to see programs structured in such a way as to encourage safety in the workplace without discouraging the reporting of injuries and illness. Companies are beginning to steer away from programs based on “lagging indicators” that focus on rewarding a reduction of lost time injuries or recordable incidents—factors that could possibly discourage the reporting of injuries. 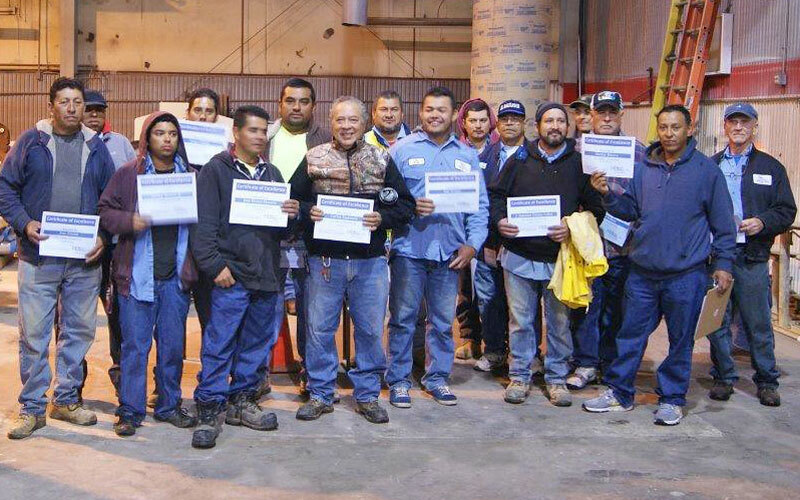 Rather, many are initiating “leading indicator” programs that enforce positive employee safety behaviors such as reporting violations and hazards, making suggestions, volunteering to be on a safety committee or in RBH’s case, being constantly aware of and reporting positive safety behaviors. Leading indicator programs are more OSHA friendly as they utilize recommended techniques for employee participation. The reason “leading indicator” programs are becoming more popular is because they truly involve and value the input of the employee. Some companies including R.B. 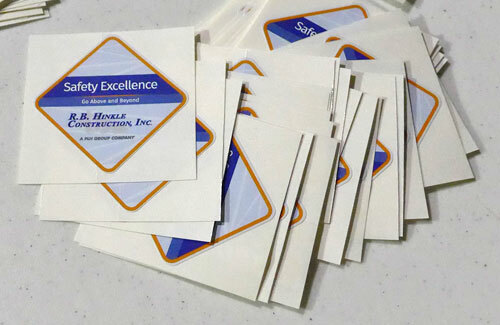 Hinkle, utilize safety observance cards as a core part of their incentives. This gives employees a more hands-on approach and also provides an avenue to prevent accidents by alerting management of possible hazards. Other companies take it a step further and actually invite the employee to identify safety hazards, present their ideas on how to resolve them then submit a proposal. Rewards can vary, from scratch off cards good for points toward gifts like tools or home electronics to monetary, with a picture and write up prominently posted. DeNeale is quick to speak up and praise acts of safety and knows that personal recognition is important. He is always thinking of ways to reward employees when he notices great safety habits and will hang an employee’s picture in the hallway, post an article on the website or hand out gift cards to a local restaurant. 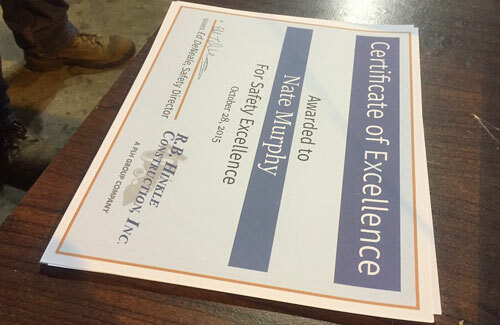 Other types of his safety rewards include letters of appreciation, certificates and unique hard hat stickers. Every gesture large and small will boost safety morale. Cash bonuses can be used, but are not as personal and perhaps won’t serve as a reminder as to why the reward was given. And if you’re not sure what to give, you can always ask for ideas and suggestions. There are also plenty of online construction safety sites to thumb through as well. One thing is apparent at the RBH monthly wheel spin – everyone is having a good time. But if you’re not having fun with your safety incentive program, then most likely employees aren’t either. Make it something that everyone – management, supervisors, staff, workers – will all enjoy. Check out some of the creative ways other companies do it. Hold a PPE fashion show like the employees at “International Paper’s Liquid Packaging Division in Plant City, Fla.” or invent a fictional safety character. Also, don’t be afraid to change it up. An incentive program will definitely evolve and morph, and that’s good. Employee input on rewards and recognition events always will be invaluable. 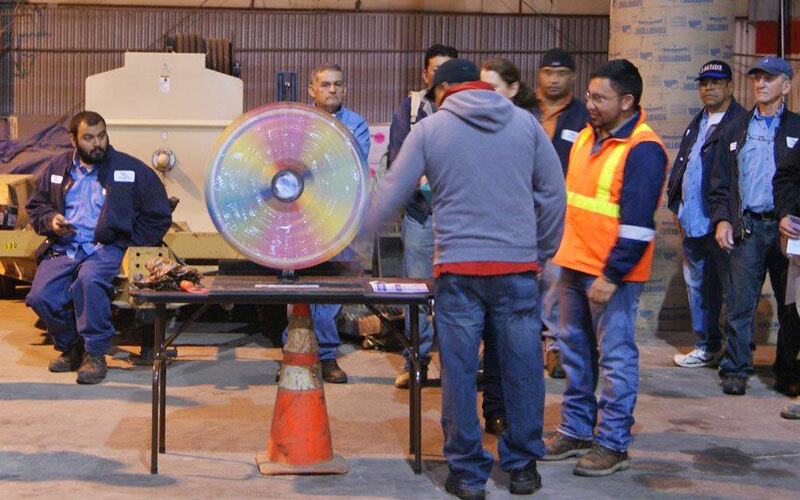 A successful incentive program like the RBH wheel spin will engage management and employees in safe behavior. It will lead to a stronger safety culture, reduce injuries and enhance an overall comprehensive safety program. It can also encourage employees to seek out and solve safety issues on their own. Those are pretty good reasons. That’s the payoff.